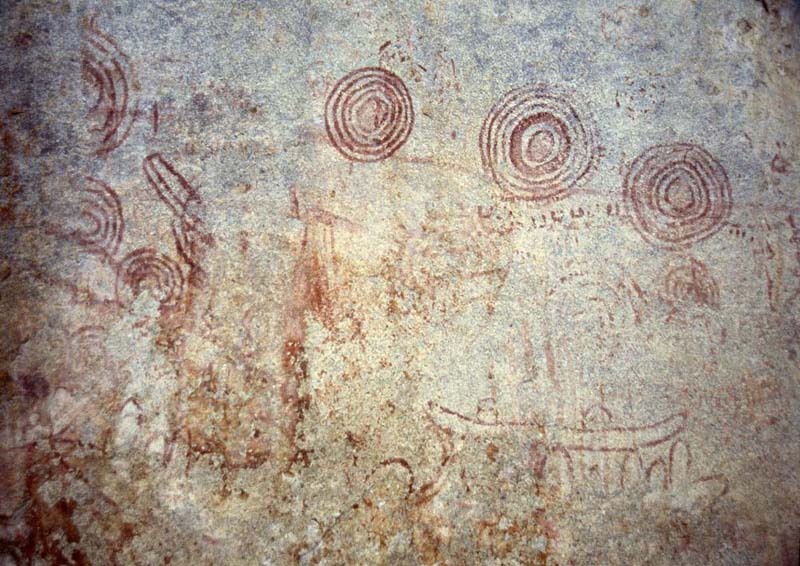 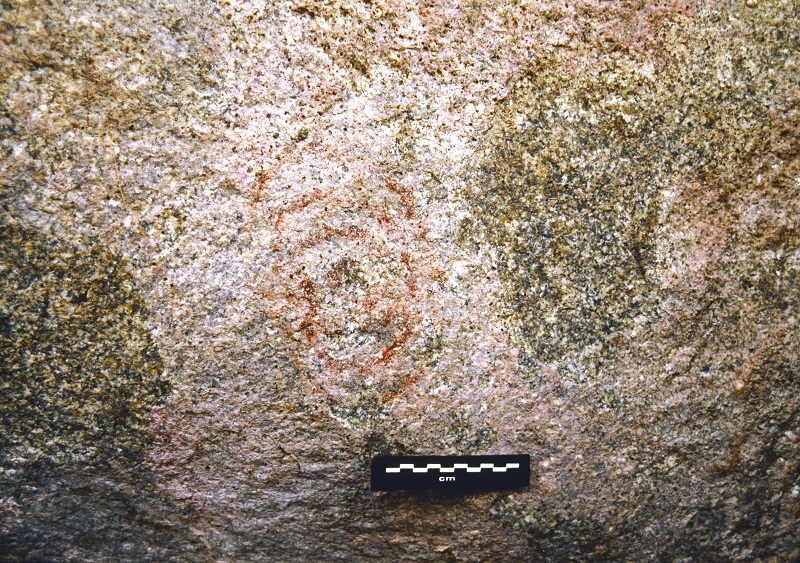 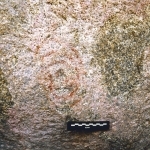 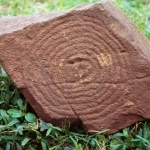 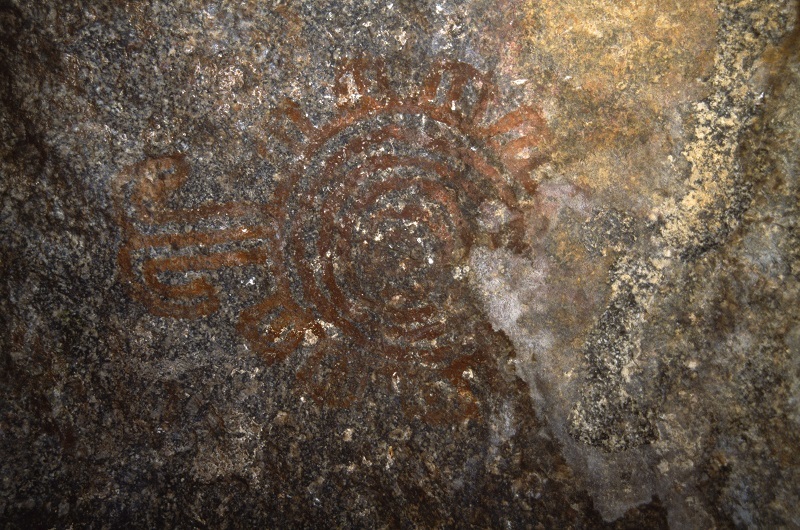 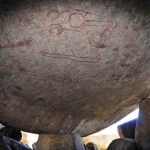 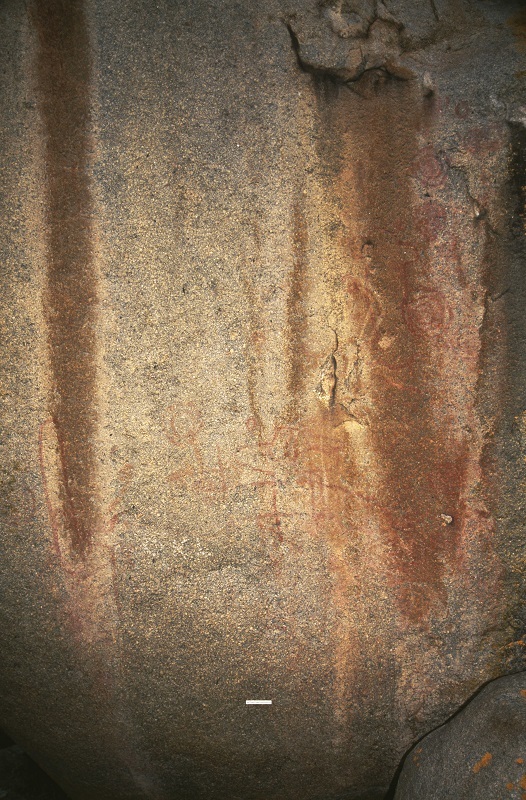 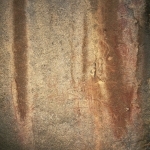 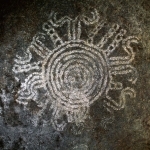 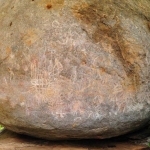 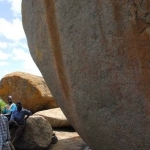 Most of Uganda’s rock art is concentrated in the east and south east of the country although there are a few other sites in other parts of Uganda. 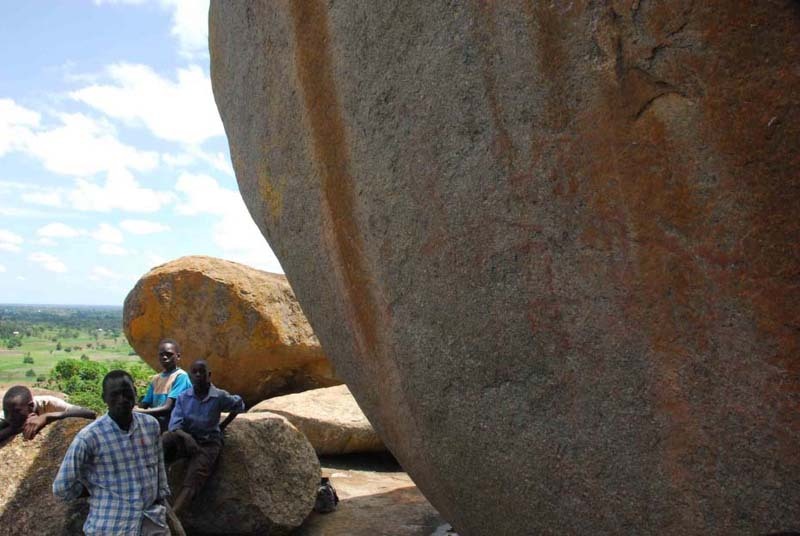 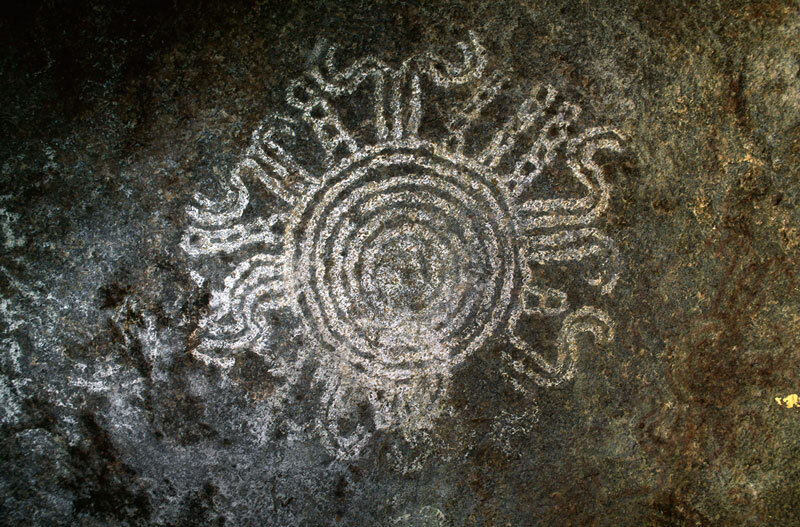 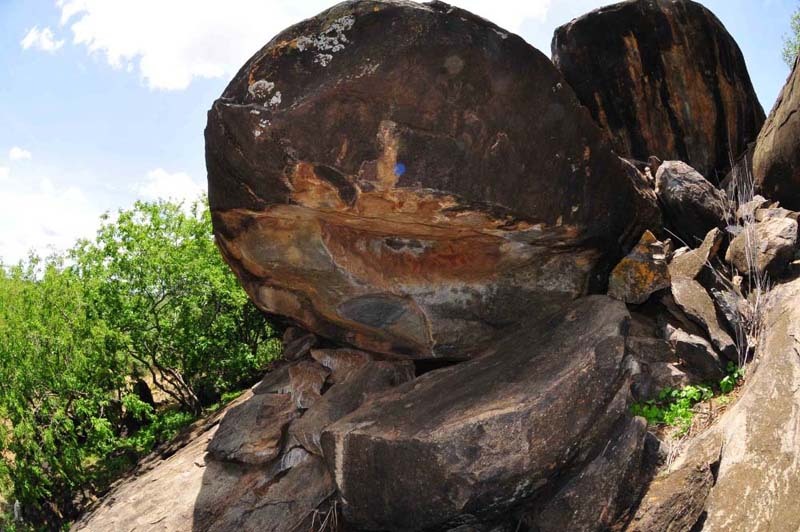 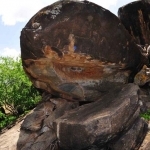 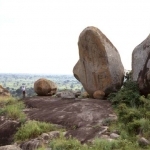 The premier rock art site is at Nyero between Mbale and Soroti in the east, not far from Mount Elgon, an ancient volcano on the Kenya/Uganda border. 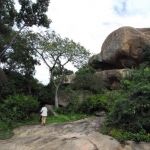 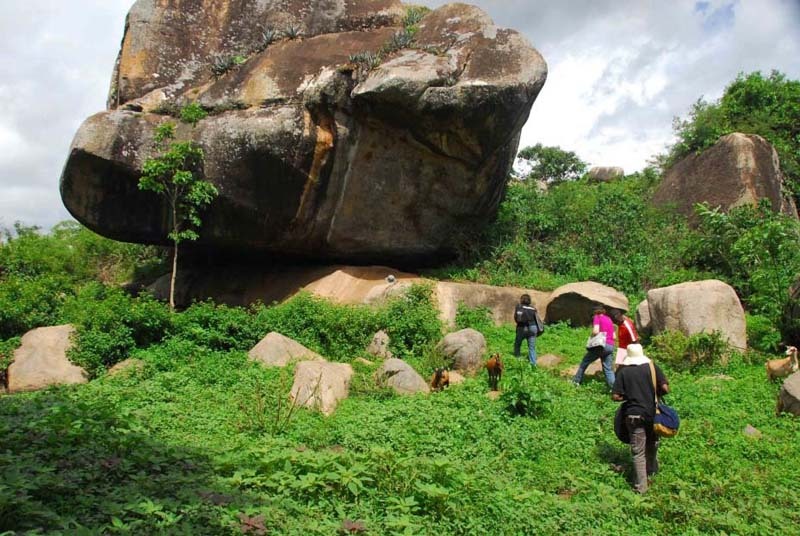 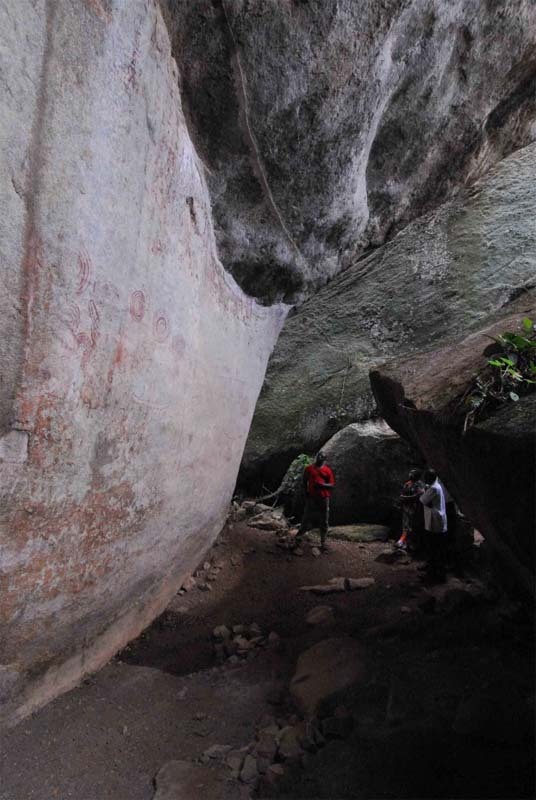 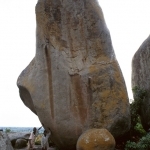 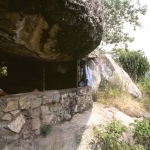 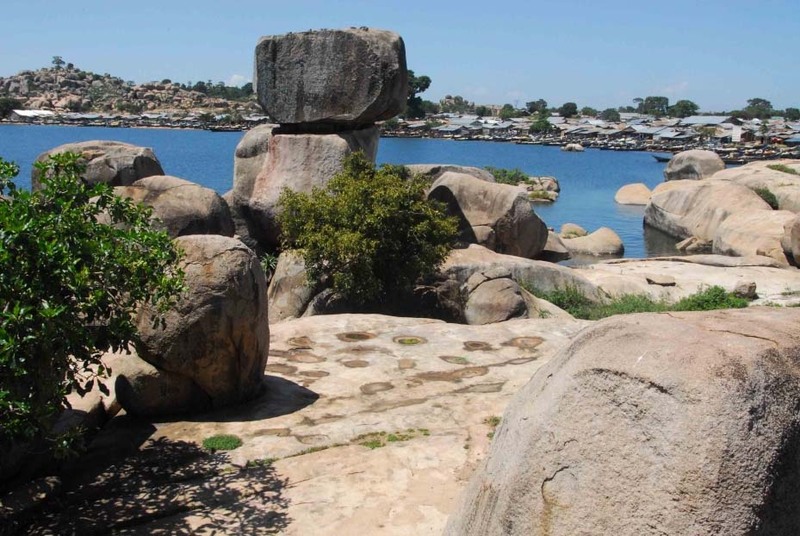 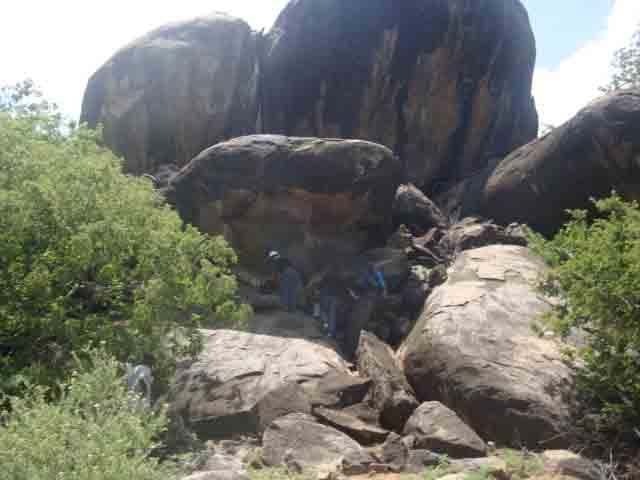 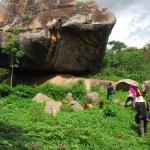 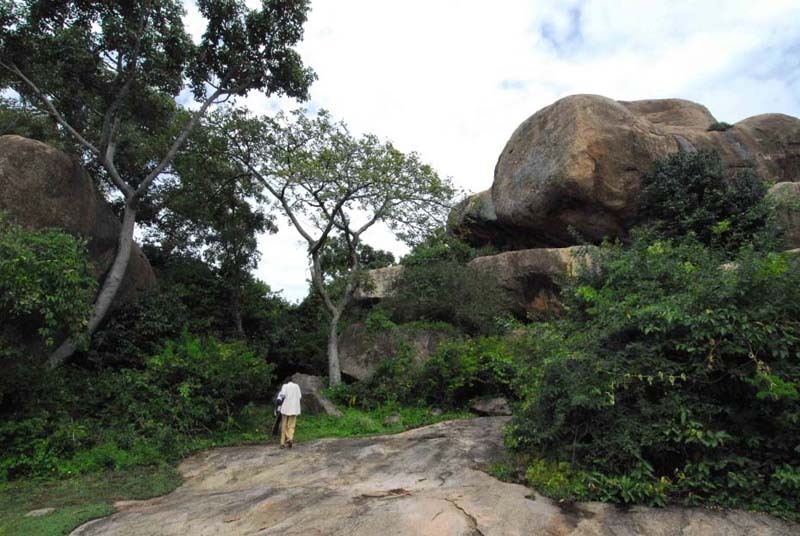 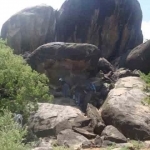 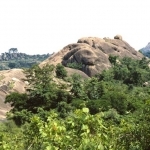 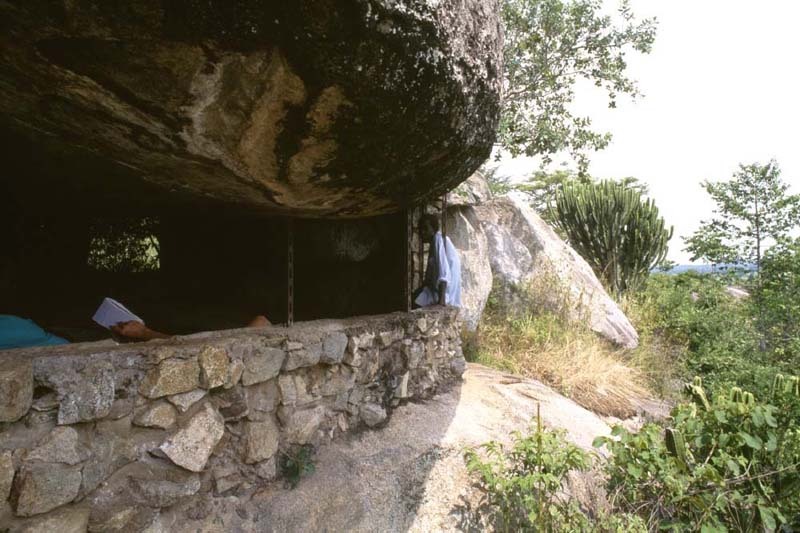 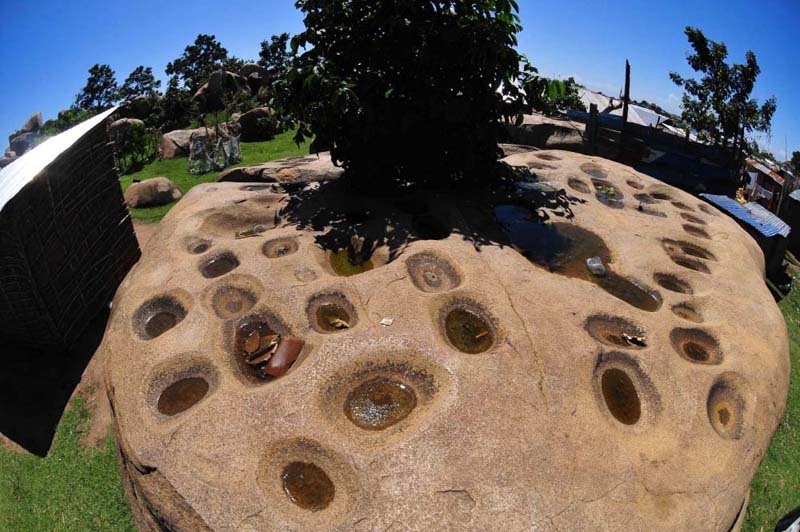 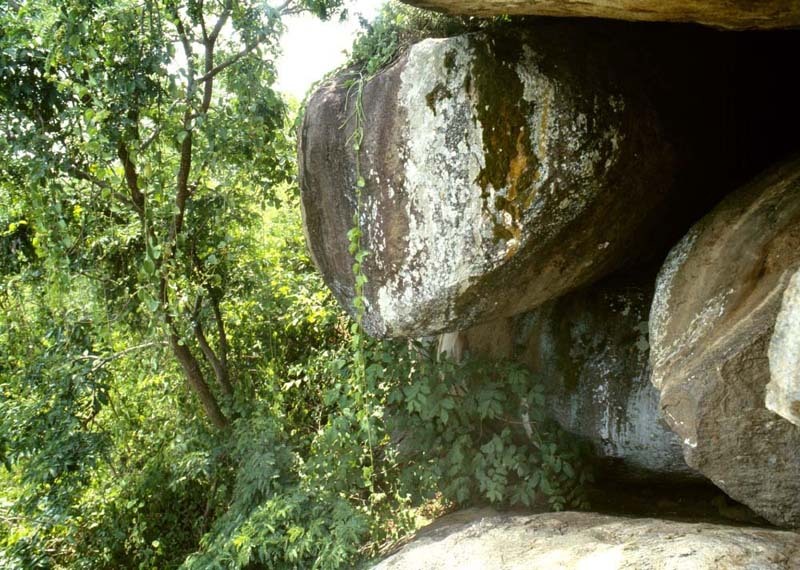 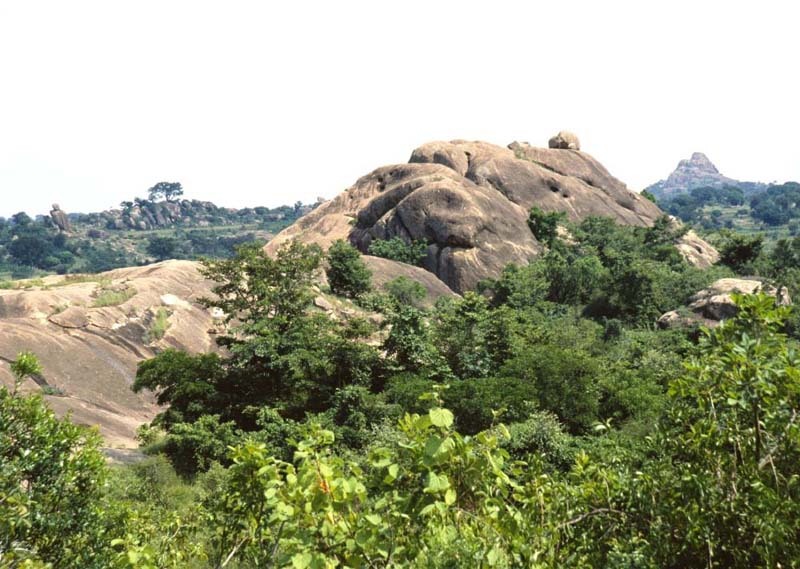 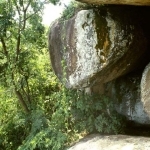 Nyero consists of 6 sites clustered around Nyero Rock which is one of a number of large granite outcrops in this area. 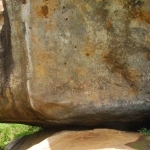 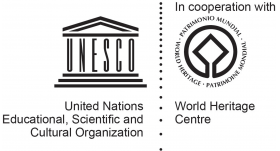 Nyero is a National Monument. 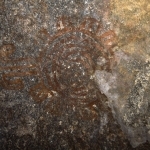 All of the paintings here are the work of ancestral Twa (Batwa/Pygmies) and are geometric in design. 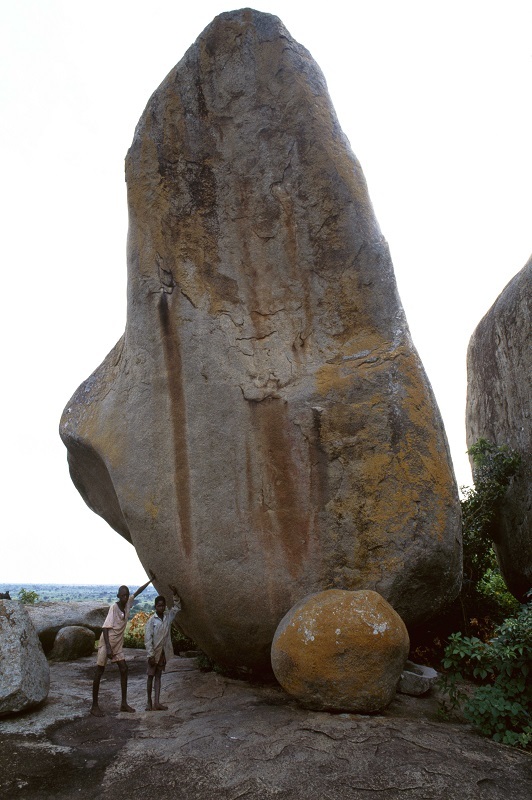 There are a number of other sites with similar art not far from Nyero. 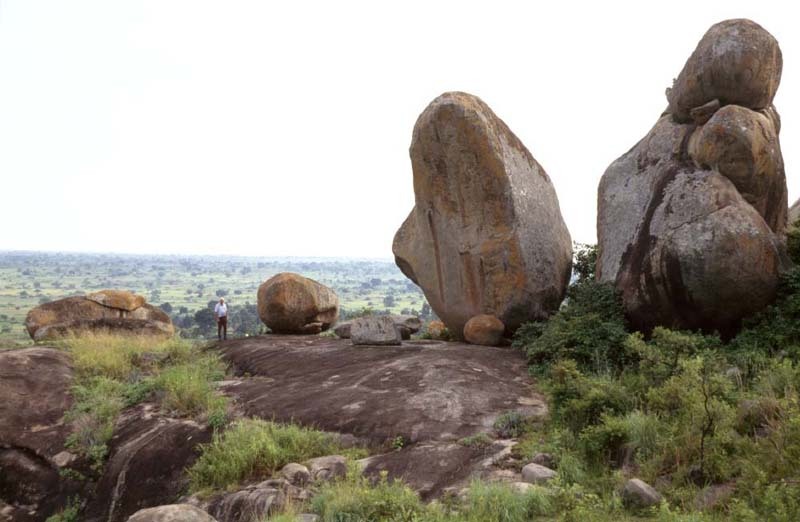 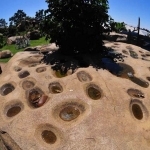 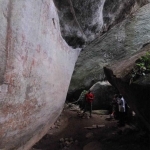 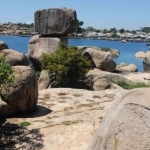 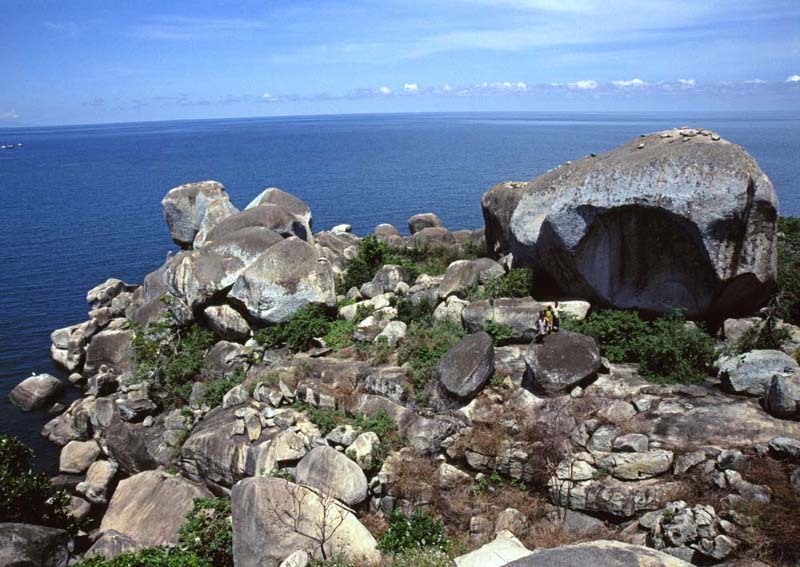 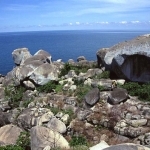 There also many Twa sites on Lolui (Dolwe) Island off the north coast of Lake Victoria including rock gong sites recorded by the US archeologist Merrick Posnanski.